This is the sad story of the Doctor's Head. The trouble was that the Doctor's Head just could not help having accidents. It all started one bright summer morning when the Doctor's TARDIS materialised in a forest, called Oxley Woods, somewhere in the Home Counties. 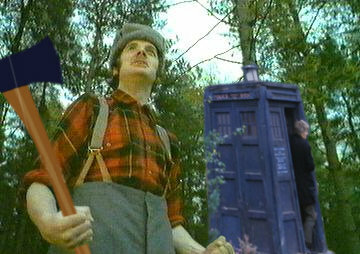 Before he knew what had happened a local lumberjack mistook his wooden post-regenerative acting and chopped off his head! 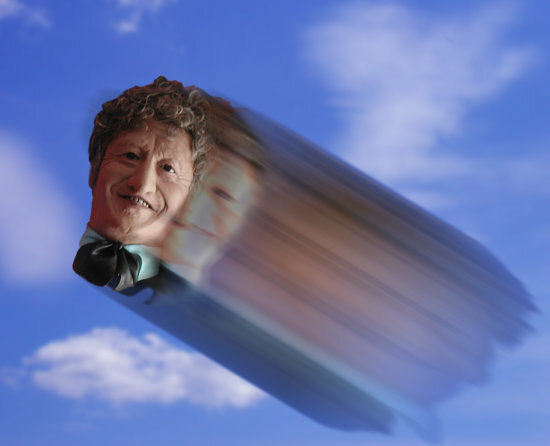 The Doctor's Head said a lot of naughty words as it bounced away. Luckily for the Doctor's Body he was still within the first 15 hours of his forced regeneration, so he fell back into his TARDIS and grew a new head and the TARDIS disappeared into the past. 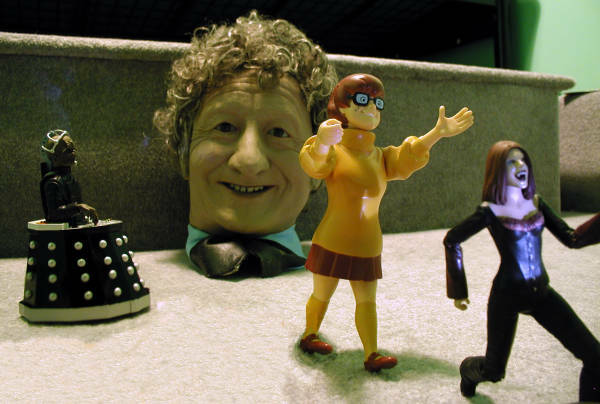 Feeling abandoned and suddenly sad that he was being replaced, the Doctor's Head rolled off to find a new friend. He rolled and he rolled but all the animals he met in the forest ran away, afraid of him. He couldn't even rub the back of his neck in frustration. 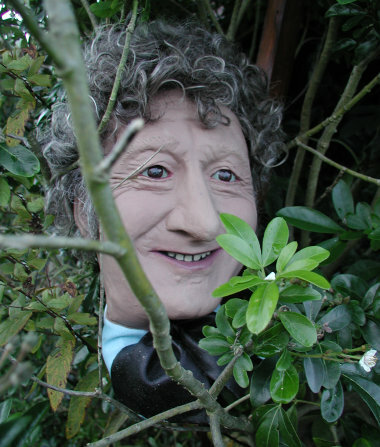 One cold morning, after living rough in the forest for a time, the Doctor's Head came across a car parked by the side of a road through the forest. Thinking on his feet, actually his neck, he headbutted the passenger window in and hid under the seat. When the owner returned to find his smashed window he drove home in a huff, not knowing he had a stowaway. 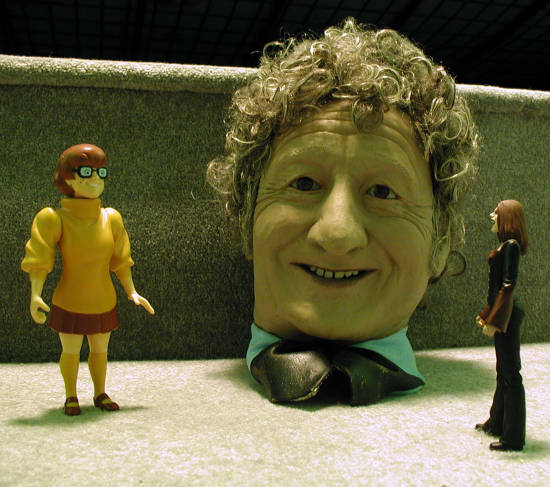 At last, thought the Doctor's Head, somebody new who could be his friend. 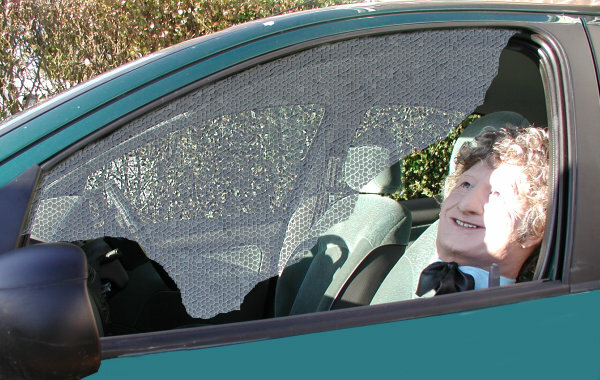 He couldn't reveal himself to the driver now, though, the driver would be angy with him for smashing the window. The Doctor's Head had a plan. As the car owner grumpilly walked up to his front door the Doctor's Head followed. Just before he got to the door the driver sensed something was following and looked around. 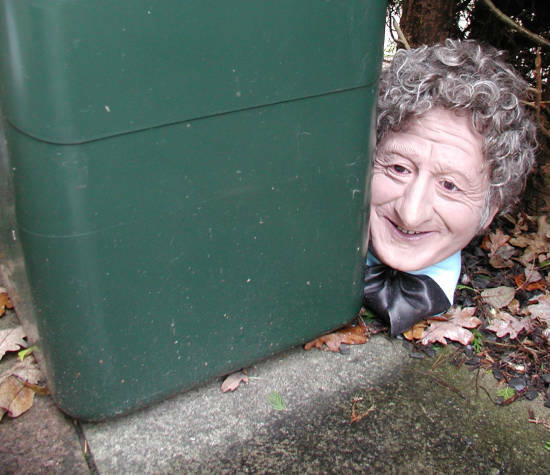 The Doctor's Head quickly bounced behind a dustbin for cover. The Doctor's Head had made it! He wasn't spotted, this time. 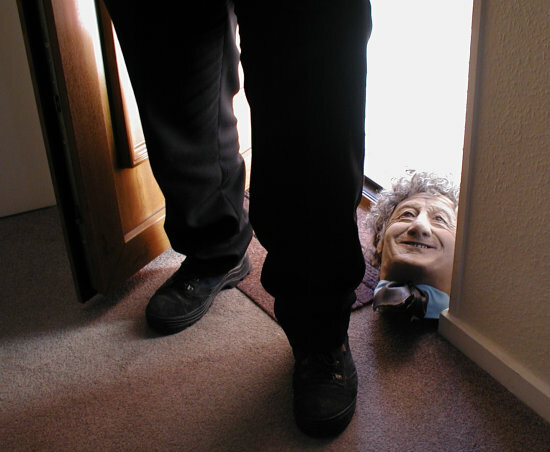 When the owner was about to close his front door the Doctor's Head quickly rolled past his feet, luckily without being noticed. 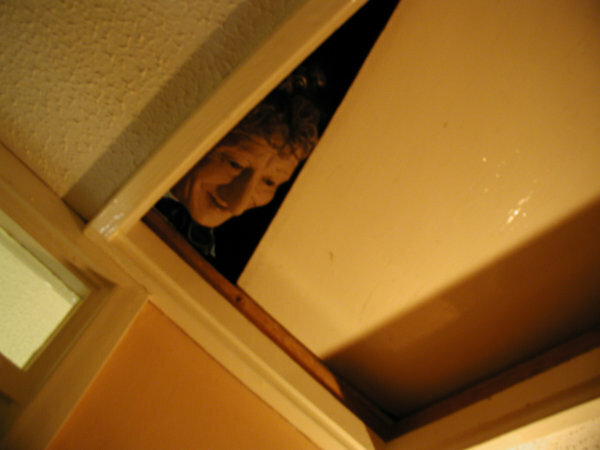 The first hiding place the Doctor's Head tried was the loft. Every now and then he'd peek down to see if the owner, who he had now heard was called Adam, had calmed down. Until then they couldn't be friends, thought the Doctor's Head. 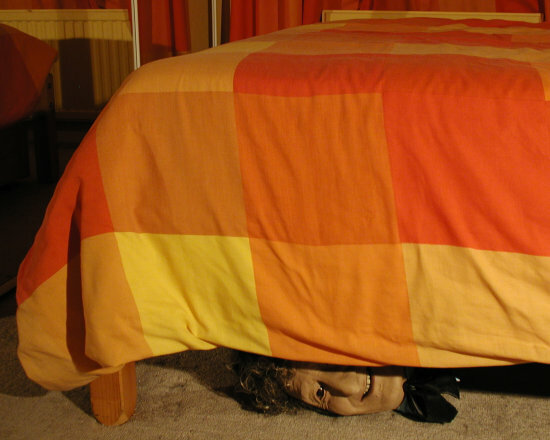 But it was cold and lonely in the loft so the Doctor's Head decided to hide under the bed instead. It was warmer under the bed but the fluff made his nose itch. Then, one night after Adam went to sleep, the Doctor's Head went for a roll to see more of the house. It was then he discovered some toys wandering around. At first the toys were afraid of him, they had been terrified of another toy, and ran away. After a few nights they began to trust the Doctor's Head a little and didn't run away. Two of them introduced themselves. "Er, hello, I'm Velma", said Velma. "I'm the evil vampire Willow", said the slightly naughty vampire Willow. Before the Doctor's Head could party with his new found friends the dastardly Davros trundled up. Ever since Mr Dalek went missing the toys had enjoyed a peaceful life, without once being exterminated again. Unfortunately Davros quickly arrived, looking for Mr Dalek. 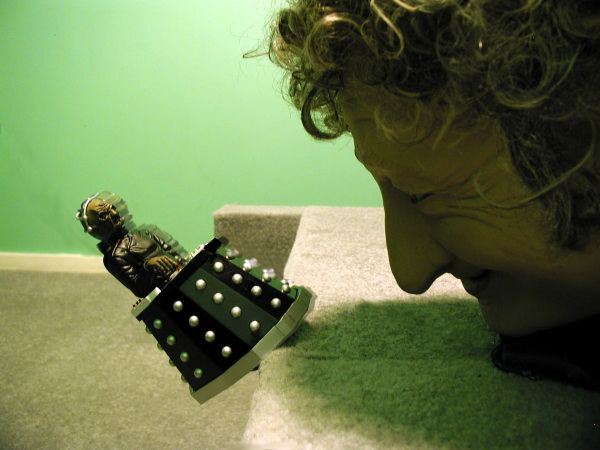 Now Davros scares the poor toys with his terrifying shouts and wild hand waving. Both Velma and Willow ran off in fear. The Doctor's Head knew what to do! A bit of Venusian Aikido would do the trick. 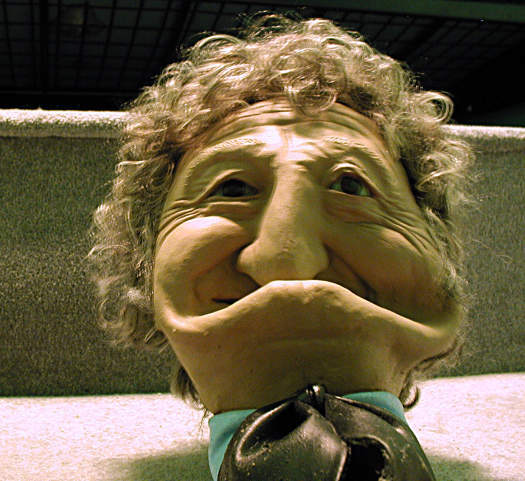 Then the Doctor's Head remembered he had no arms or legs. Another idea came to him. Sot'm Aikido! With a shout of 'Hai!' the Doctor's Head put on his fiercest Sot'm Gurn. And then performed the best Sot'm Headbutt he could muster. 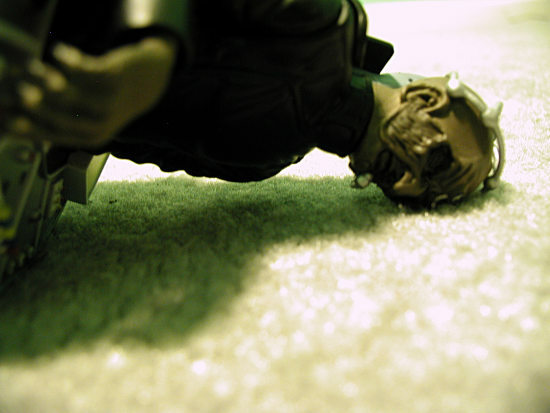 Little Davros fell to the ground, down and out. Velma and Willow rushed back to thank the Doctor's Head, he had saved them! The Doctor's Head felt happy for the first time in ages. 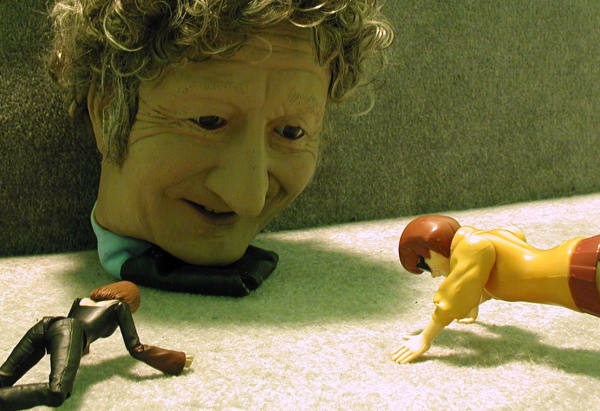 In the morning, after a night of the Doctor's Head's limbless debauchery, Adam found the Doctor's Head laying on the floor. That's odd, he thought. 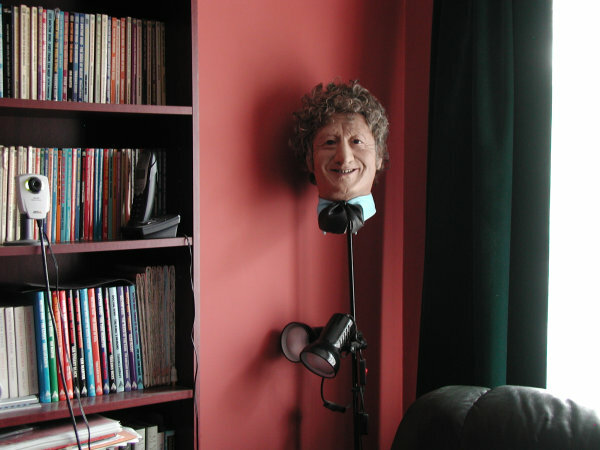 Suddenly thinking of a good use for it, Adam stuck the Doctor's Head on a pike in the corner of the room. That should scare off any intruders, Adam thought. So you see the story of The Doctor's Head is a sad story indeed. If you ever lose your body you know what to do, don't you? That's right, keep away from deranged members of the Staggering Stories team and you won't suffer the same fate as the Doctor's Head. You'll remember that the next time you are decapitated, won't you?